This comprehensive 8-week program was specifically designed to teach new and uninformed investors how to establish a solid foundation, by applying basic principles required for a successful and profitable investing experience. 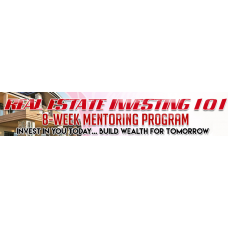 During the 8-week program, you will receive over 16 hours of actionable content to expedite your ability to acquire properties. You deserve to invest without fear, and this program will help you generate the confidence to get started, or enhance your knowledge. The program will also help you develop your own personal road map to transition from being trapped in a JOB you’re not passionate about, to the retirement lifestyle of your dreams. This is an opportunity to take the leap into your personal journey for financial success, by learning to buy investment property. Establish realistic goals for your investment strategy. Select the right properties for your investment portfolio. Reduce your tax liability with investment properties. Create cash flow and use creative financing. Purchase properties without favorable credit. Buy properties and avoid paying capital gains tax. Determine property values before purchasing. 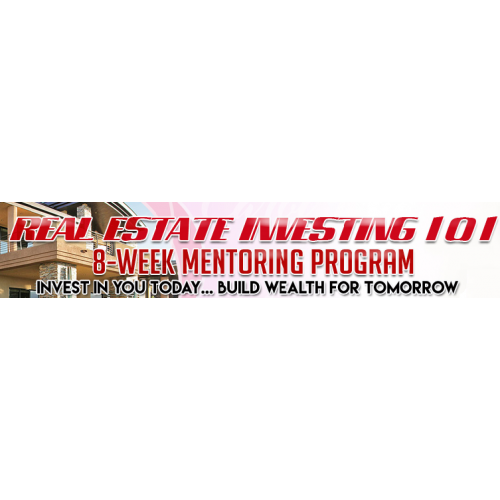 Identify other options for investing in real estate without purchasing or flipping a property. Choose the proper business structure for real estate investors.